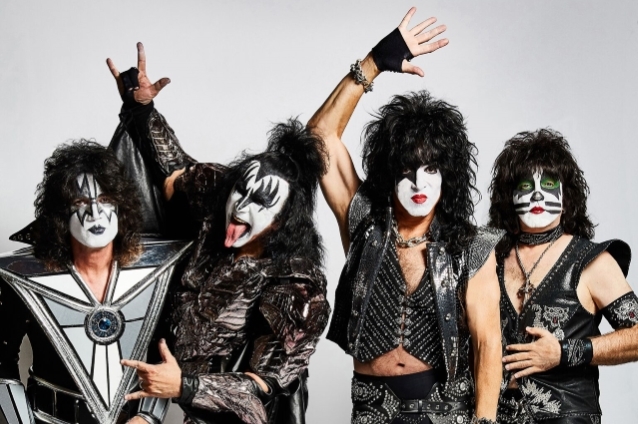 KISS have expanded their End Of The Road farewell tour with 25 more dates across North America next summer. Following the trek’s three-month launch on the continent – starting January 31 in Vancouver, BC – and a summer series across Europe, KISS will return to North America for 25 more shows beginning in Sunrise, FL on August 6. "All that we have built and all that we have conquered over the past four decades could never have happened without the millions of people worldwide who've filled clubs, arenas and stadiums over those years,” says KISS. “This will be the ultimate celebration for those who've seen us and a last chance for those who haven't. “KISS Army, we're saying goodbye on our final tour with our biggest show yet and we'll go out the same way we came in... unapologetic and unstoppable." KISS Army fan club presales for the newly-announced concerts will begin Wednesday, November 28 at 9 a.m. local time, with general public tickets on sale starting Monday, December 3 at 10 a.m. local time – for full details by event, visit kissonline.com.